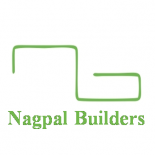 Uncategorized | Nagpal Builders (India) Pvt Ltd.
Nagpal Builders (India) Pvt Ltd.
Office space on Lease in South Delhi. Luxury Builder Floor for Sale in South Delhi. One acre Farmhouse / Country Homes in Delhi.